Yonehana’s chef’s choice is changeable. What I do at first after waking up is, of course, viewing Twitter to know Today’s chef’s choice at Yonehana. I found Today’s chef’s choice at Yonehana was tuna’s nakaochi the other day and went straight to there. I love Yonehana’s nakaochi. nakaochi is left-over flesh on the spine of fish. Mostly it’s tuna. 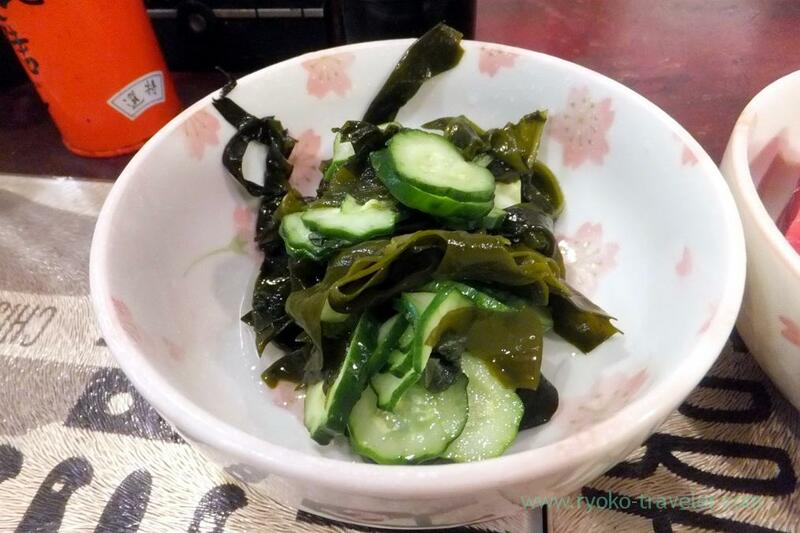 I thought I can’t eat nakaochi, but went to there. 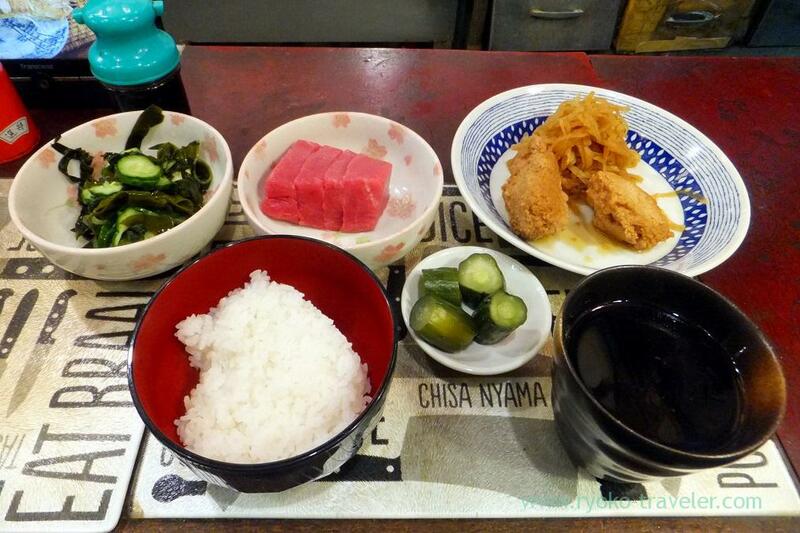 Yonehana’s chef’s choice changed to lean meat of tuna on my way to Tsukiji, as I thought. Well, chu-toro is fatty part and more expensive than lean meat and nakaochi, and many people like it, of course, me too. But I love nakaochi ! There’s much fats between meat and bone. Nakaochi have plenty of the fat. 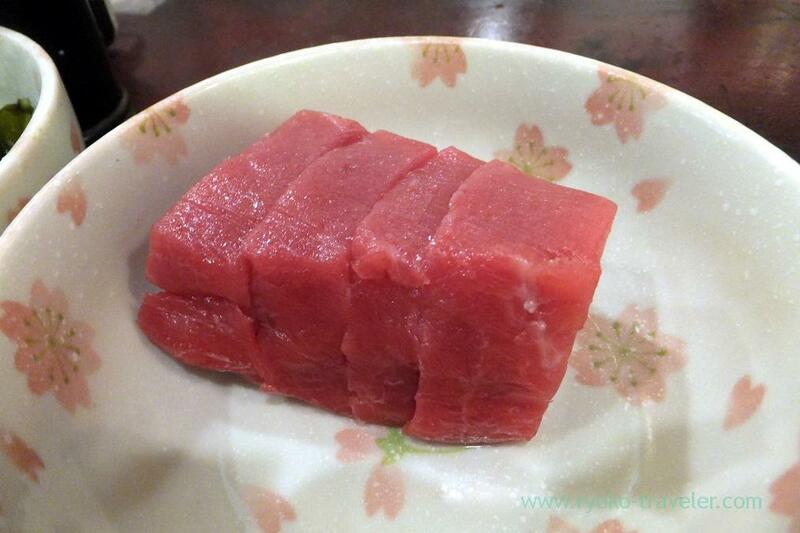 Which part of tuna meat do you like ? I put some slices of tuna into soy sauce for a while as usual. I kept putting them longer, but there’s no problem. It won’t be salty. Yonehana’s sashimi is so fatty and very thick. 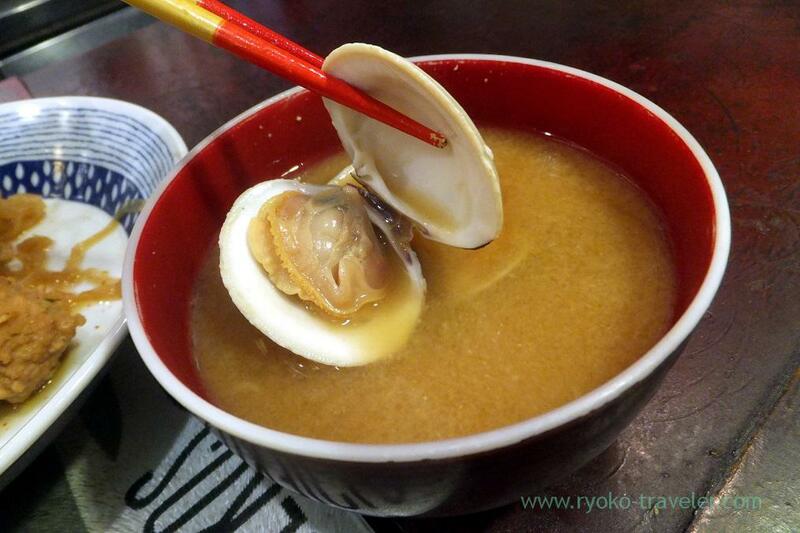 So, it takes much time for soy sauce to soak into the meat. 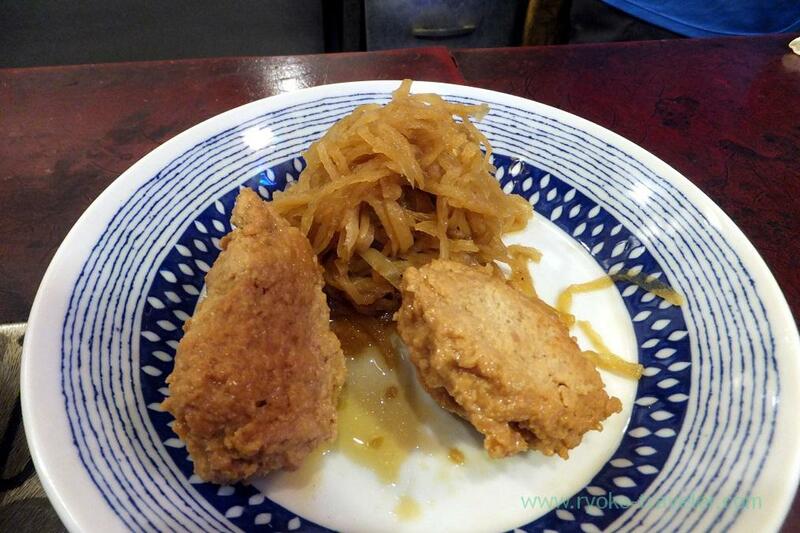 Boiled chicken ball and dried shredded daikon radish. 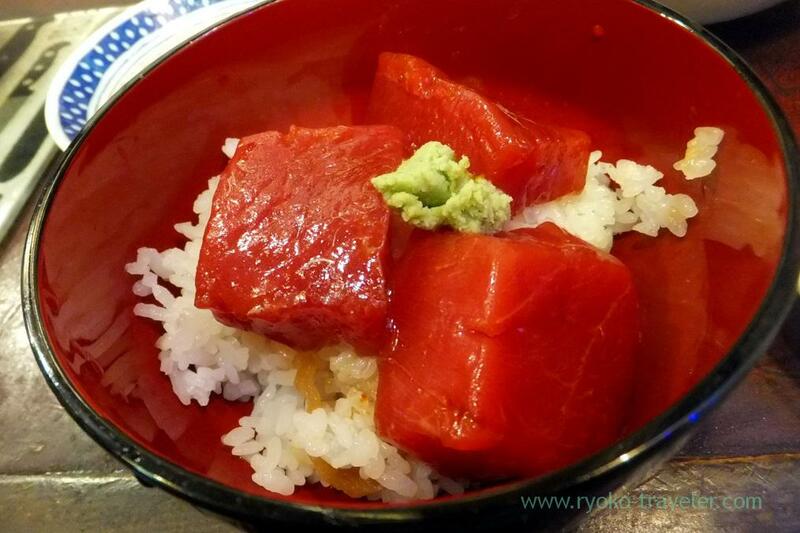 Sashimi bowl is the most popular bowl at Yonehana as usual. I want to eat sashimi bowl after a long interval.